Writes Stephen Estep in The American Record Guide, ". . . this is a worthy recording of the Variations . . . 29 is just magnificent, and Sullivan's playing in 30 is so winning that, like an unfaithful lover, I imagine I'm hearing it when Gould is playing. As Sullivan says [in the CD booklet], the organ is as much teacher as tool; it's like reading an illuminated manuscript. If you like the Goldbergs enough to buy more than one recording, this one should be on your must-have list." [Estep does not identify which the first recording should be, but we take the context to mean Glenn Gould's 1955 transcription and recording for the modern piano. Writes David Alker in the British organ journal The Organ, "Daniel Sullivan plays his own adaptation of the Goldberg. Though originally intended for two-manual harpsichord, the 'absoluteness' of Bach's music is such that it transfers well to the organ. Sullivan is a fine player: his enthusiasm, exuberance and sensitivity come across right from the first variation. Nor is he afraid to use the full resources of this extensive four manual . . . Just occasionally, long sets of variations on a theme can become boring: not here -- I was captivated right until the very end. Why? It has to be because of the fine combination of composer, organist and instrument. I am sure that Bach would have approved. Highly recommended. 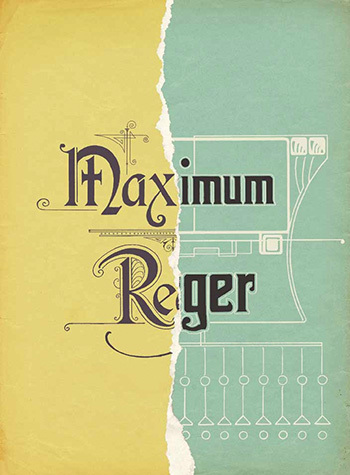 Writes Peter Barley in the British organ journal Choir & Organ, "A large and magnificent Aeolian-Skinner organ might not seem to be first choice when it comes to performing the Goldberg Variations. Daniel Sullivan . . . manages a remarkable achievement in successfully realising this iconic work with admirable clarity. . . . one gains in majesty . . . he retains elegance, and delicacy. The Goldberg Variations, BWV 988, were published in 1742 as the fourth part of Clavierübung (Keyboard Practice). The 30 variations on a sublimely pleasing tune, composed by Bach specifically for the two-manual harpsichord, are frequently adapted to other instruments and ensembles including wind quintets, string trios, solo piano, etc. Daniel Sullivan's adaptation and orchestration for the organ bring another most successful way to enjoy these splendid pieces. At St. Philip's Cathedral in Atlanta, the Goldberg Variations are realized on a 97-rank Aeolian-Skinner organ in a finely recorded acoustic, perhaps developing some potential not found by other instruments or players. This CD also raises a question that holds fascination for organ aficianados, "Had Aeolian-Skinner survived, would their organs built today sound like the instrument at St. Philip's?" The exquisite organ we hear on this CD, so magnificently demonstrated by this music, emerged in 1992 after tonal rescaling, revoicing, enlargement, and stop rearrangement among divisions by Aeolian-Skinner's former head voicer (who had worked on the original installation at St. Philip's), correcting the tonal deficiencies of the original organ. Finished in 1962, the organ was built during a period of extremes in tonal design as thin scales, weak bass, strongly percussive pipe speech (chiff), and piercingly bright upperwork were emerging. While the organ retains many of the beautiful quiet and mezzo stops for which Aeolian-Skinner is famous, the ensemble was less satisfying. Daniel Sullivan's realization of The Goldberg Variations presents an ideal demonstration of the wonderful tonal palette and glorious ensemble sounds of the organ as it exists today. Making music is often regarded as a personal experience. Recording this disc has been unusually meaningful in a personal way. As a child, I remember standing suddenly frozen in place, spellbound by the Variations' introductory Aria after coming across it being played over the radio. More than a decade later, I finally set about learning this music. During 2005, I played the Goldberg Variations on several organs spanning the widest range of style and design. When I performed it in Atlanta, the organ at St. Philip's Cathedral immediately became to me as much a teacher as a tool: I felt connected to the music hiding behind the notes on the page as never before, and knew right away that this was where the recording must be made. Of this music Bach himself said it was written “for music lovers to refresh their spirits.” In what other spirit could I possibly offer it to you? Daniel Sullivan is a New York based performer and teacher who is regularly engaged across the United States. In addition to solo performances, Mr. Sullivan plays with pianist Jason Cutmore as the New York Piano-Organ Duo, and he also collaborates with organist Isabelle Demers in performing music transcribed for two organs. In 2007, he and Ms. Demers premiered their original two-organ transcription of Prokofiev's Peter and the Wolf. Sullivan has been a featured soloist at New York City's Basically Bach Festival, the Piccolo Spoleto Festival in Charleston, and the White Mountain Musical Arts Annual Bach Festival in New Hampshire. He has performed in the United Kingdom in Edinburgh, Scotland, and Hexam, England. In 2005 he traveled from coast to coast to premiere his arrangement of the Goldberg Variations for solo organ, with financial support from the Eric Thompson Charitable Trust for Organists and Organ Music of England. Mr. Sullivan was also the first prize winner in the Gruenstein Competition (Chicago 2002), and has won second prizes at the Miami International Organ Competition (2006), the San Marino Organ Competition (California 2003), and the Arthur Poister Competition (New York 2001). He is a native of Wisconsin who holds the Artist Diploma from The Juilliard School where he studied with Paul Jacobs, and degrees from Yale University, where he studied with Thomas Murray, and the Oberlin Conservatory in Ohio where his teacher was Haskell Thomson. He was appointed to the faculty of Juilliard in the Fall of 2008. Aeolian-Skinner installed op. 1399 in 1962 for the new edifice of St. Philip’s Cathedral which was completed in the same year. A contract for the organ was signed in 1960 as part of plans for the new building on the site at Andrews Drive and Peachtree Street, to which the cathedral had moved in 1933 and erected a building known as the “little gray church.” St. Philip’s Church, established in 1849 at a site across from the state capitol, was designated as the Cathedral of the Episcopal Diocese of Georgia in 1904 (before multiple dioceses had been established in the state) and was occupying its third building at the time. Though the parish had been the largest in Georgia in 1875, most communicants had abandoned the area by 1933. In addition to the Aeolian-Skinner name, the organ console bears a plate displaying the name of Joseph S. Whiteford, president of Aeolian-Skinner and successor to the famous G. Donald Harrison (1889-1956), having been his assistant. Soon after its installation, adaptive changes to the organ were instituted as its owners became familiar with their new building and its organ. The Celestial Divisions, mounted in a central tower above the nave, existed in wide variations of temperature which adversely affected their tuning and the ability to use them with the rest of the organ. To make the commanding Major Trumpet, originally located in the Celestial Division, remain in-tune with the most of the organ, it was moved early-on to the Chancel where most of the organ is located. Four ranks of the prepared Solo Division were added by Aeolian-Skinner in 1964, and two more ranks were added shortly thereafter by the M. P. Möller Co. Ranks of pipes were moved among divisions over the years. In 1991, the building's acoustics were significantly improved. Concomitant tonal changes to the organ were made in 1992 by John Hendriksen, the former head voicer of Aeolian-Skinner who had worked on the construction and installation of the organ. (The Aeolian-Skinner Organ Company had gone out of business in 1971.) Adapting the organ to changing tonal styles and to its new acoustic, Hendriksen enlarged the scales of many ranks to add fullness to the tone by moving the pipes up one or more notes, so that the diameter of the pipe playing a given note is larger than it was originally. New bass pipes were fabricated for the bottom notes of the ranks receiving this treatment. Stops and ranks were moved among divisions, and the Choir Division was given a complete principal chorus by relocating to the Chancel the three-stop West Gallery Division, which had been silenced by water damage in 1980, and reworking it as part of the Choir Division. The most recent addition is a Tuba added to the Solo by the Austin Organ Co. in the mid-1990s. In 2007, the Widener Organ Co. of Atlanta began a project of releathering and renovating the organ in stages.